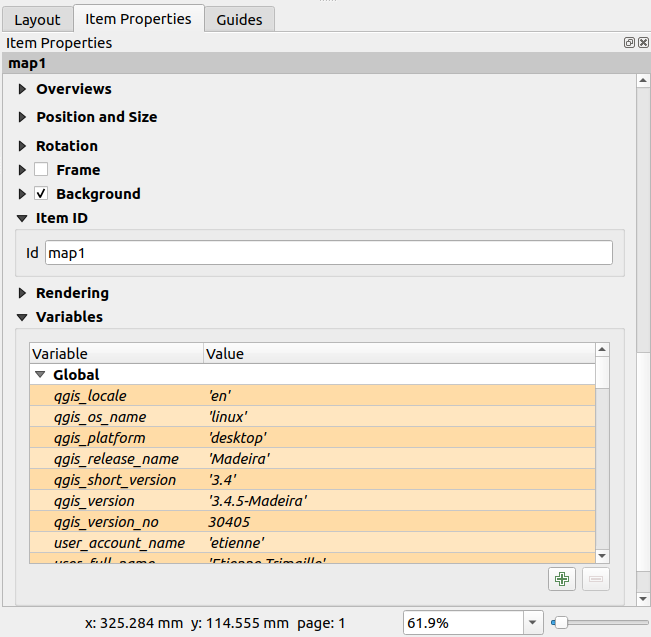 I am trying to publish maps from QGIS Map Composer. In QGIS 3.4, you can build your attribution label automatically, according to layers which are visible. 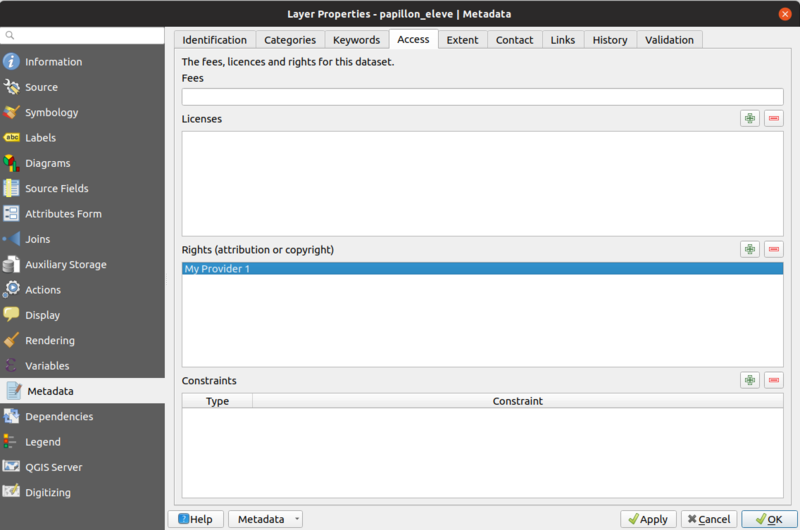 First, you need to setup metadata for all your layers. 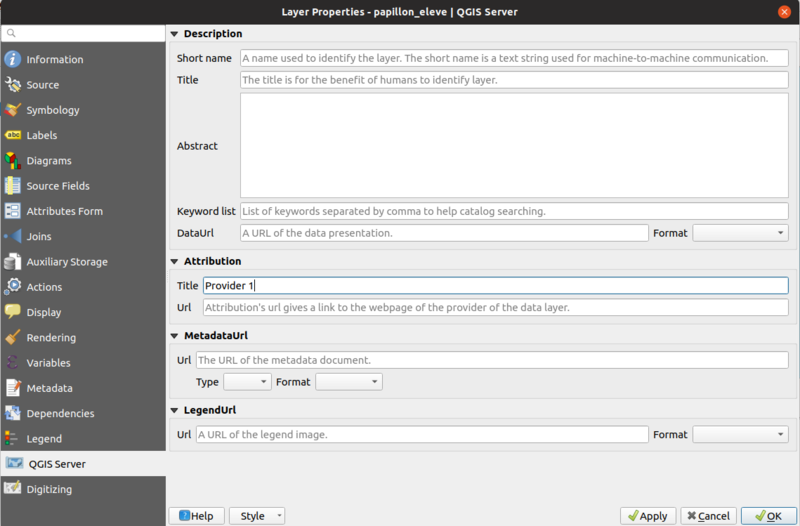 In my project, I have 3 layers, but 2 layers have the same attribution Provider 2. Try to understand the expression by reading comments from 1 to 4. This will render the correct attribution based on layers which are visible in my map. It will also remove attributions which are the same across layers. In QGIS 3.6.0, you can add the array_sort expression to sort alphabetically. One answer to your question can be a union of the great answers (in fact, your question is almost a duplicate) of this one: Automating citation of data source in QGIS print composer? Add a new text label to the layout. In the item properties of the label, main properties, click on Insert an Expression. Its define a new get_layer_name() function that returns the name of the active layer and can be found under the Custom group of the expressions list. Click on Save and Load Function. It returns the Attribution metadata of the active layer. Don't forget to refresh the layout view when the active layer has changed. Not the answer you're looking for? Browse other questions tagged qgis print-composer qgis-print-layouts or ask your own question. Showing OSM source acknowledgment on the map in QGIS? Automating citation of data source in QGIS print composer? Exported PDF resulting in misaligned Bing Aerial and vector layer using QGIS? Getting QGIS Print Composer flat? Multiple pages with different in QGIS print composer / layouts? How to create a polygon from a Print Composer or Print Layout map extent in QGIS?